The men of the Anunnaki Astronaut Corps on Mars (The Igigi/Nephilim/Fallen Angels) brought the Anunnaki pantheon of rulers as “gods” of the Indus Valley ( Pakistan), India and southeast Asia. 200 Igigi had eloped with or abducted 200 hybrid super slaves descended from Enki’s genius son Adapa. Allied with Marduk, the Igigi forced Enlil and the Anunnaki elite to let them settle on Earth. They settled Canaan and from their spread to Europe and Inanna’s Indus Valley fief. Federation Rep Galzu pretended to represent Nibiru’s King Anu and said that the Igigi and the multitude of descendants they begat with the Adapite women should seek the high ground to escape Noah’s flood of 11,000 BCE. The Aryan migrants shared their knowledge, technology and sense of superiority with their lineages and advanced Europe’s Atlantians and Denovians– also descendants of Lyran refugees–who, like them, spoke Aryan (Indo-European) languages: “Latin, Greek, Hittite, Sanskrit, French, German, Latvian, English, Spanish, Russian, Lithuanian, and Tocharian” (in China). The Aryans worshipped a sky-god, traced descent through the male line, raised cattle, drank mead, used horse-drawn chariots as weapons of war” and fashioned weapons of bronze and iron. Aryans “saw themselves as a ‘white’ blend of Igigi gods and the smartest Earthlings. They considered themselves “a higher bracket than the rest of the mortal beings on Earth.” Aryans “were more technologically advanced because the possessed some of the Anunnaki’s genetic pool and influence.” They blended two sides of the white Anunnaki who interbred with Earthlings. 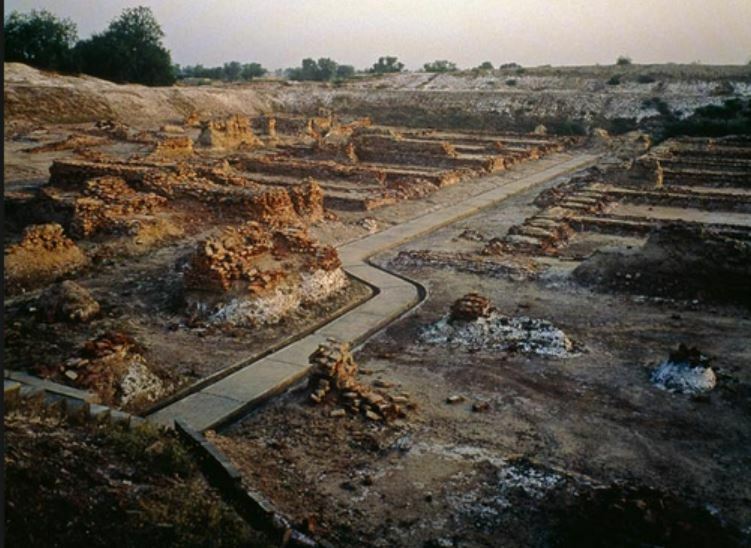 In Pakistan, Aryans lived in Inanna’s Indus Valley fief and bred with the locals. Aryans in India worshipped Enlil as Vishnu, Inanna as Kali and Shakti. When Marduk became a top Sumerian god after 2024 BCE, Aryans kept coming to the Indus Valley and the Indian subcontinent. The Aryan s bred with India’s darker people. ANUNNAKI, FALSE GODS extends Zecharia Sitchin’s translations from clay tablets that underlie the Bible. Ten thousand years ago, scribes in ancient Sumer (Iraq) wrote on these tablets what they said the Anunnaki gods (tall people from the sky) dictated. Sitchin asked Dr. Lessin to keep public attention on his legacy by creating an educational program. The Anunnaki are Homo sapiens like us but who live hundreds of thousands of years. They said they rocketed to Iraq 450,000 years ago from a planet called Nibiru to harvest gold to send back (via Mars) to Nibiru to powder into an atmospheric shield. They mined abundant gold in Africa until, 300,000 years ago, their miners mutinied. To replace the mutineers, Anunnaki geneticists created short-lived slaves, called Adamites, adapted from their own genome but modified with a bit of clay, copper and genes from an intelligent hominoid, Homo erectus (Bigfoot’s ancestor) already living in Africa. Two hundred thousand years ago, Enki, their Chief Scientist, begat a line of Earthlings called Adapites with two Adamite girls. Fifty thousand years ago Enki and an Adamite beauty begat Noah, who carried Enki’s longevity genes and ruled the Iraqi city of Sharuppak. Enki saved Noah and many of his subjects from the Deluge of 13,000 years ago. The Anunnaki had Noah’s people and other flood survivors proliferate and build cities in the Middle East and Egypt with up to 50,000 inhabitants. The Anunnaki ruled the new civilizations as gods with descendants of Noah’s sons as intermediaries. The Anunnaki gave us the best and the worst of planet-wide civilization–kings, historians, taxes, temples, priests, bicameral congresses, record-keeping, law codes, library catalogs, furnaces, kilns, wheeled vehicles, paved roads, medicines, cosmogony, cosmology, festivals, beer, food recipes, art, music, music instruments, music notes, dance, textiles, and multicolored apparel. 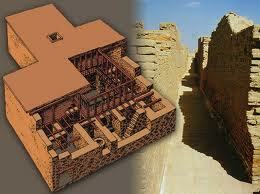 Sumerian schools taught mathematics, architecture, theology, writing, grammar, botany, zoology, geography. They displayed but did not pass on a world-wide energy grid, air, submarine and interplanetary transport vehicles and advanced computers. They also gave us hierarchy, misogyny, violence, greed, slavery, debt and war that featured genocide and weapons of mass destruction. In 2024 BCE Anunnaki ruined their eastern Mediterranean cities with nuclear blasts and fallout storms. Most of the Anunnaki returned to Nibiru by 311 BCE. But some stayed. They and their descendants (the power elite) rule us to this day. They and their spawn created and perpetuate exclusive, hostile nations and religions to keep us divided. They addicted us to credit institutions to keep us slaving. Their tales of their stay on Earth before they made our ancestors, as well as what our forefathers directly saw, imprinted us with the values of their hierarchic, male-run, master-slave-enemy mentality. We assumed values of extraction, pollution, monetary monopoly and obsession with gold. The genetics team that created us also gave us the capacity and preserved the histories Sitchin and others translated so we can overcome the liabilities they left us. Recently, Anunnaki Royals returned to Earth, joining Enki and those who remained. The returning Anunnaki pledge to end the era of Marduk’s control on Earth (Kali Yuga), make sure he makes amends for the suffering he fostered here to secure his control, and usher in the Age of Enki (Aquarian, Satya Yuga).